Demetrius II was a Greco-Bactrian/Indo-Greek king who ruled briefly during the 2nd century BC. Little is known about him and there are different views about how to date him. Earlier authors such as Tarn and Narain saw him as a son and sub-king of Demetrius I, but this view has now been abandoned. 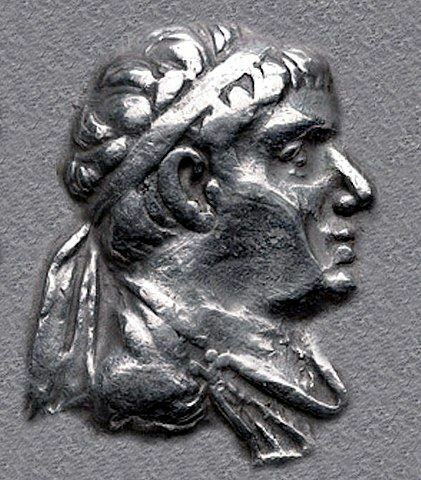 Demetrius II issued only silver and mostly tetradrachms, another trait which he has in common with the last Bactrian kings. The obverse shows a diademed portrait, with a standing Pallas Athene holding a spear on the reverse. Unlike most of his contemporaries, he has no epithet. Demetrius II is depicted as a young man, though his features differ considerably among the different issues. Several coins are struck off-center and crudely; this suggests that Demetrius II used a number of temporary mints.